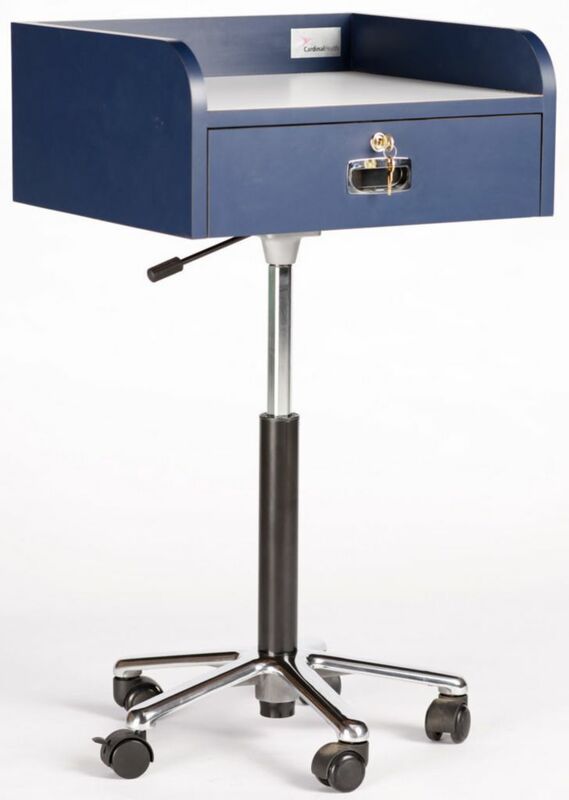 Easy add on accessories to cylinder base of the Contemporary Mobile Work Station are available from accessory bracket model MWSB, to hold glove box holders, kimwipe holders, waste containers, utility boxes, Sharp's container, etc. 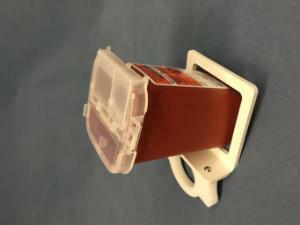 Accessory model MWSSH for 1-qt Sharps Container; Accessory model MWSBX Utility Box; and model MWSPT, Phlebotomy Tray holder. 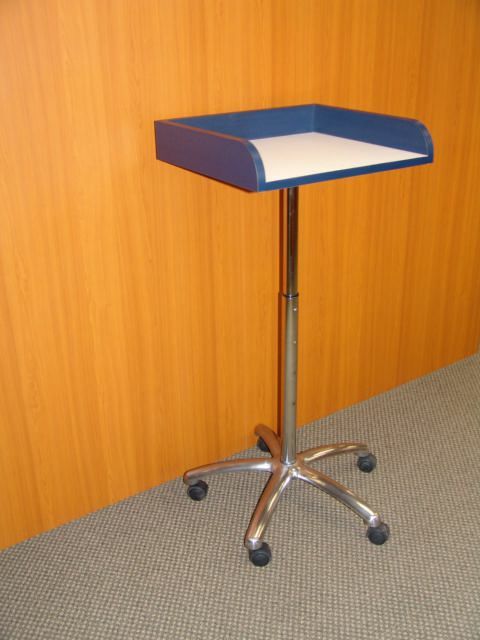 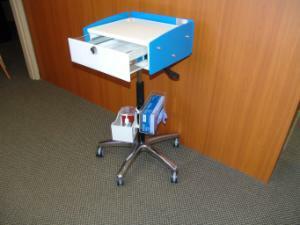 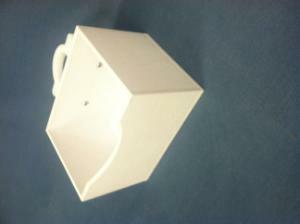 Another cart, which is more traditional in design, is available that is made of heavy duty plastic laminant. 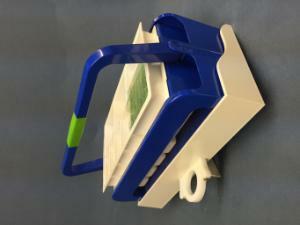 2-versions are available. Model STKMWS-WD, writing desk top and one with a locking drawer, model STKMWS-1DR. 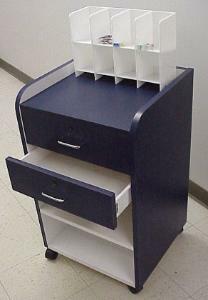 The next version of cabinet available has a heavy duty plastic laminate which is offered in 6-standard colors. Model PHC-2018B, Blue; model PHC-2018G, Gray; model PHC-2018GR, White with green top; model PHC-2018R, White with rose top; model PHC-2018WB, Wood grain sides and black top; and model PHC-2018WW wood grain sides and top. 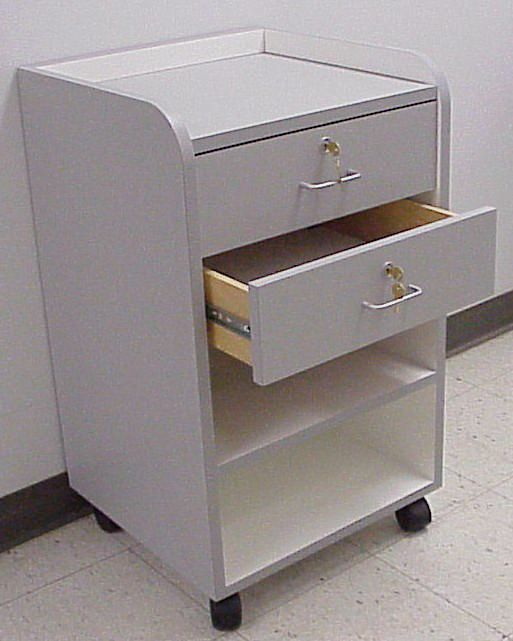 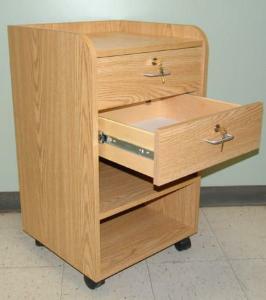 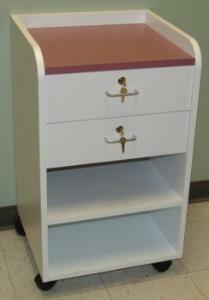 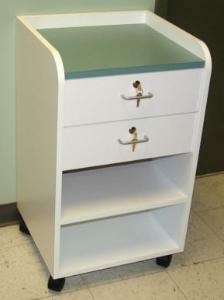 These traditional units haves 2-lockable drawers and easy rolling lockable casters.